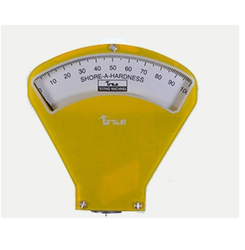 We are a leading Manufacturer of bluesteel rubber hardness tester shore a & shore d, digital shore a hardness tester accuplus, shore d durometer, shore a hardness tester shr - a - gold bluesteel, shore a durometer and rubber hardness tester shore a from Ahmedabad, India. 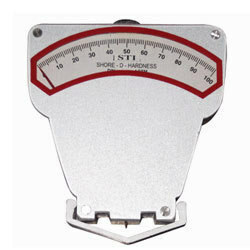 We provide the Bluesteel Rubber Hardness Tester Shore A and Shore D to our customers. We provide the best quality product. D Conical with 30 Degree + 1.00 Degree included angle Hard rubber, plastic, bakelite, ebonite & leather. 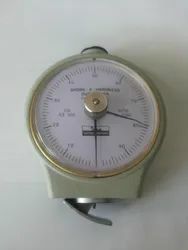 SAM-002 durometer is an essential characteristic of Rubber foam, sponge, plastic foam, silicone, gelatinous materials, textiles, low-density coils. products. It is feature portability, ease of operation, with facility, high resolution and it is available in GB/T 531 -1999 and ISO 7619, ASTM D2240. Such as: natura lrubber, SBR, neoprene, nitrile rubbers, flexible polyester, castresins etc. Though it is primarily suggested intended for use upto maximum of 75 unitsin the range 10 to 90 Shore-A-nos. Standards Conforms to the revised German Standard DIN-53 505 & American Standard ASTM D 2240. Newly Designed Modelshr-a-gold / Shr-d-gold are more accurate and long lasting because of watch mechanism components, rugged construction and one precision made components. Because of hair spring no back- lash. Also provided with two hands, a driving hand and drag hand to determine the creep property of samples. 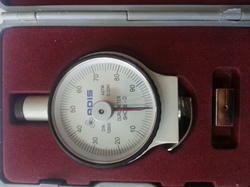 We Have Adis Brand Shore A And Shore D Durometer . Available with us are rubber hardness testers that are high in performance and are easy to operate. Rubber hardness testers are widely used across different industries, these rubber hardness tester are engineered to perfection adopting innovative technologies. We also endeavor to satisfy our clients spread worldwide by offering our range of rubber hardness tester as per the designs and specifications of our clients. 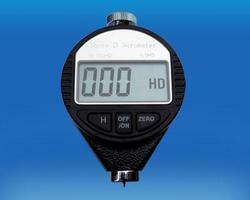 Looking for Rubber Hardness Tester ?